Help Sedona emerging ballet artist achieve her dream! Thank you Sedona for your past support of our very own emerging ballet artist, Jessica LeBlanc. Jessica, in only three short years of training, has excelled in ballet. 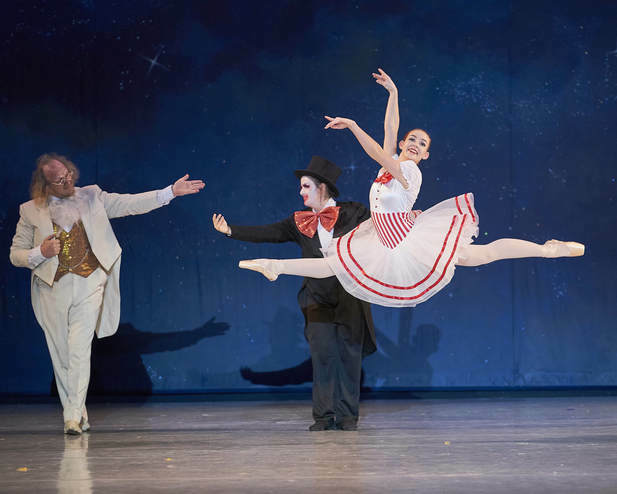 In 2017, Jessica was a soloist in the Phoenix Ballet Nutcracker as the doll in Act One and was selected as a corp dancer in the Snow scene, the most difficult of all the dances in The Nutcracker. Jessica trains with the world renowned Slawomir and Irena Wozniak at Master Ballet Academy and due to this excellent training has attended summer intensives at the world renowned Central Pennsylvania Youth Ballet and Ballet West. What a testament to hard work and passion. Congratulations to this young and exceptional young talent. The cost of this intensive is $6,000 dollars and her family needs assistance to make this happen. Please help. "I started dancing only a little over three years ago. I have worked very hard to try and catch up to the other dancers my age, and continue to do so. Attending a summer intensive is so important to me because it will allow me to build my technique and expose me to outstanding teachers and dancers. Because of my late start in ballet, I am looking to increase my skills, and I think a world class intensive is the best place to help me meet my goal of becoming a professional ballet dancer. I would be incredibly grateful for as much financial support as possible, which would make the goal of a professional career in ballet a reality. Thank you for your generous contribution." To present world-class dance artistry onstage. We aim to make all forms of dance relevant, accessible, and inviting to the widest possible audience while maintaining financial stability. To offer artistic immersion in the most significant cultural achievements in the dance performing arts to all members of the local, national and international dance community in the form of classroom offerings and participation in world-class live performances. To support dance creation, presentation and education. To engage and deepen public appreciation and support for dance. To enrich Sedona and Northern Arizona’s cultural life.